William “Bill” Gream, 74, of Platte City, MO passed away Sunday, November 18, 2018 at the North K.C. Hospital in North K.C., MO. Bill was born July 23, 1944 in East St. Louis, IL to Hayden and Evon (Andrus) Gream. 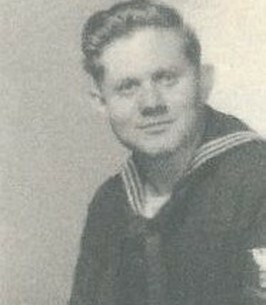 He served his country as a member of the U.S. Navy, and was a member of the USS Tidewater AD31 Association. Bill married Mary Lee DeWitt on December 3, 1966 in Cahokia, IL. He spent his career working for Burlington Northern Sante Fe Railroads, in several areas; and retired after 33 years of service. Bill was a member of the First Baptist Church of Platte City, loved spending time with his family, and in earlier years, enjoyed photography. He was preceded in death by: his parents; a son John Wesley Gream; 1 brother; and 4 sisters. Bill is survived by: his wife Mary of Platte City; his children Tamlynn of San Diego, CA, Judith (Jim) Oberholzer of Cedar Rapids, IA, and Kristi (Kevin) Black of Chantilly, VA; 10 grandchildren; 7 great grandchildren; and numerous nieces, nephews, extended family and friends. A graveside funeral service will be held 10:00 a.m., Friday, November 23, 2018 at the Leavenworth National Cemetery, Leavenworth, KS. Memorial contributions can be given to the First Baptist Church of Platte City. To send flowers to the family of William Joseph "Bill" Gream, please visit our Heartfelt Sympathies Store.